While normally a chaotic and colourful place, Playland in the off season feels more gothic than giddy. Great sets at the Panto, as always! Is the wall-version (or the backdrop!) of the PNE painting for sale? Glad you liked the sets! This is always my favorite project. 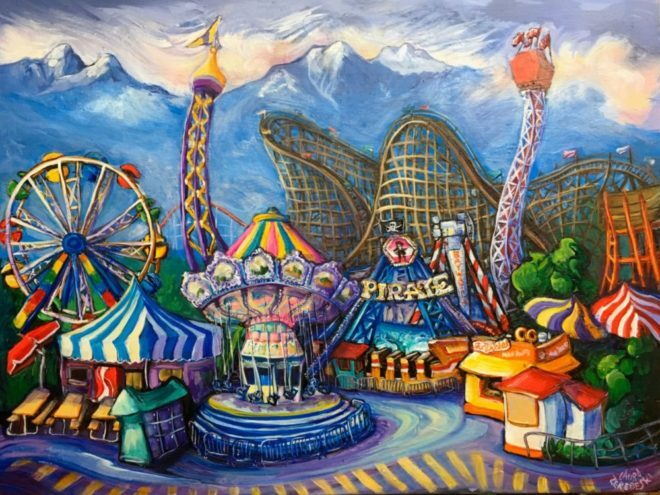 The Playland drop painting is indeed available for sale. I’d like to keep it up for the duration of the run, though. I shall ensure you have first dibs.